The Observatory hosts Fringe events during the Ballarat Foto Biennale. The 3rd Rock Cafe is open for light snacks and refreshments from 10.00am. 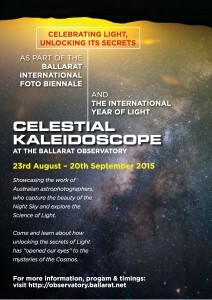 Our thanks to Ballarat Mayor John Philips who launched Celestial Kaleidoscope and our International Year of Light display on Tuesday 25th August at 4.oo pm. 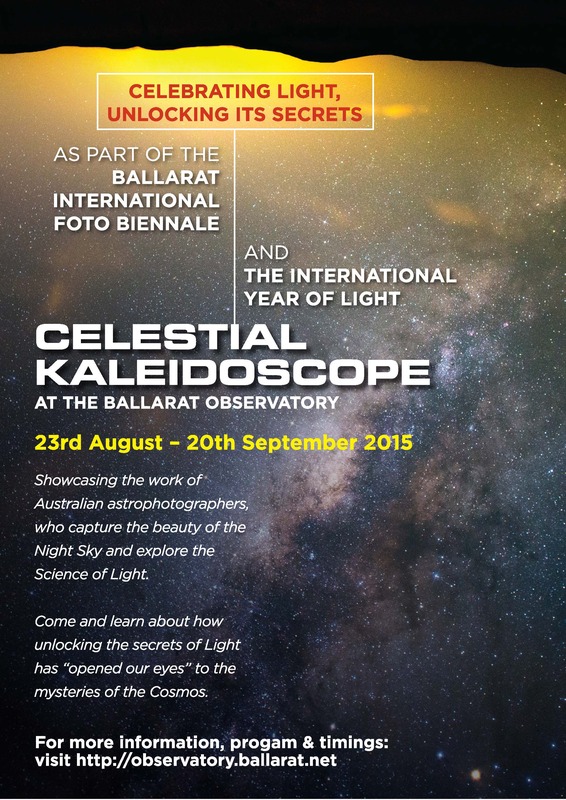 The Ballarat Observatory and Ballaarat Astronomical Society invite all astrophotographers to participate in the Celestial Kaleidoscope exhibition as part of the 2015 Ballarat International Foto Biennale fringe events. This year, in celebration of the International Year of Light, the theme of our exhibition is “Celebrating Light, Unlocking its Secrets”. Photographs can explore & highlight any aspect of light and the night sky, whether from an aesthetic or scientific perspective. Come and immerse yourself in a light installation that combines real scientific data with art to produce an immersive and educational light installation. 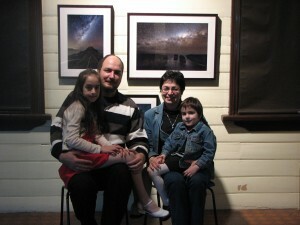 This installation shows how the further away we look, the further back in time we are able to see. 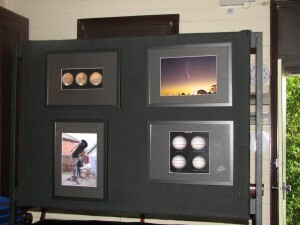 Each panel shows galaxies at a certain epoch in the Universe’s evolution. Observatory entry costs for 3D movies and viewing in the evenings are $20 Adults, $15 Concession, $8 Students, $45 Family (2A & 2C), $50 Family (2A & 3-4C). Third Rock Café open for refreshments. 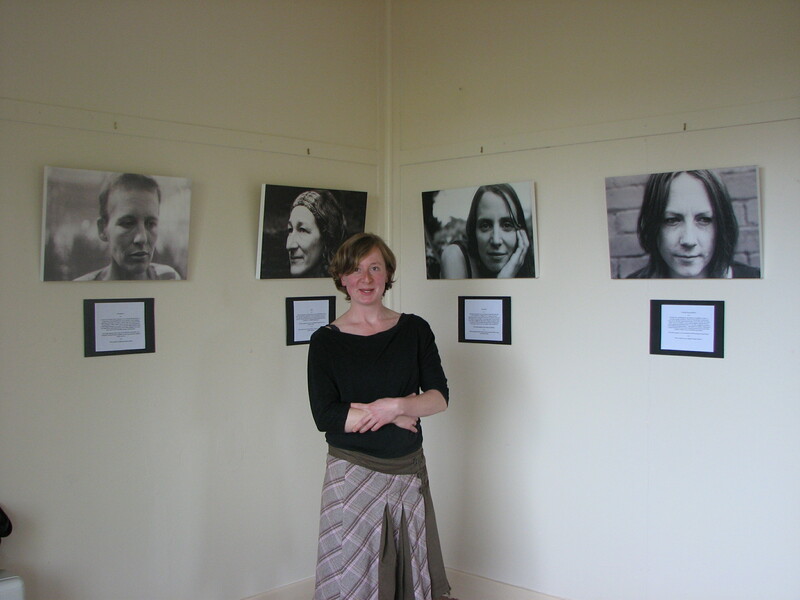 Disabled access , toilets and parking.